We're scratching around trying to find fault. When it comes to creative professional tools the 1D X Mark II is not just a worthy successor to the original, it's an astounding high-speed DSLR in its own right. The original was genre defining and this, the sequel, is one of those rare but lauded better-than-the-original moments. The big boss is back for round two: the Canon EOS 1D X Mark II is the company's top-end full-frame DSLR, which replaces both the original 1D X and video-focused 1D C models. And it really is one serious bit of kit, as we've been finding out during a couple of days' shooting for this review - from ultra-low-light disused underground water caverns, to high-speed car chases, (literally) explosive stunt setups and even the odd sheep. Yep, sheep. We like to live dangerously after all. Unveiled a short time after Nikon lifted the lid on its top-spec D5, which has a wholly new 153-point autofocus system, has the Canon 1D X II still got the smarts to call itself king of the pro full-frame market? We've been putting this DSLR through its paces to see just just that. Hint: the answer, if you're all about speed, is a reassuring yes. Having handled the 1D X II for a couple of days there's a whole lot to like about it. Not that it's particularly different to the original model: the large scale body is almost identical, albeit for some rear thumbstick design and texture changes; an extra "bump" on its head courtesy of a built-in GPS module; and, tucked away inside, a CFAST card slot for ultra-fast write speeds (it sits alongside a more conventional CompactFlash port, so no need to necessarily upgrade to the newer format just yet). It's a pretty serious wedge of kit, though, so if you're looking for something small then, well, this isn't going to fit the brief. 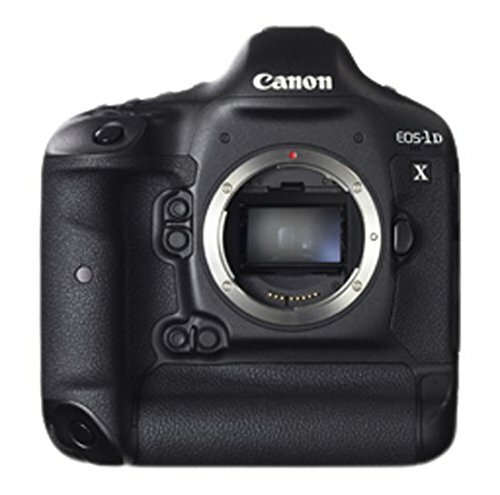 Having just reviewed the mid-range Canon 80D, the 1D X II is a whole different beast. But you knew that already. And despite the size everything falls to place in the hand well, catering for both portrait and landscape orientation thanks to dual controls (the second set of which can be deactivated with the twist of an external control). Our only build gripe, really, is the lack of a variable screen. Which some pros will probably shrug at, but if Pentax can do it with the K-1 then we'd like to see it elsewhere. Shooting at floor level in the Cisternerne in Copenhagen made clear how useful this feature would have been, rather than working somewhat blindly. But as gripes go, it's a passing one that most probably wouldn't be expecting. At first glance the Mark II's autofocus system seems to be one and the same 61-point arrangement as found in the earlier 1D X. Sure, the layout is the same, but it's all about new tweaks and nuances that ensure it's still a top tier system. First is the Ai Servo III+ continuous tracking system which utilises the gyros in image-stabilised lenses to help predict tracking movement. Let's say you're shooting out on a racetrack where there's a sharp bend - you follow the curve of the road but the camera doesn't know to predict this because, until now, it's not been able to judge speed of physical movement. By using the gyro information it can predict when your physical movement is slowing down or speeding up, in which direction, and predict where the subject and, therefore, active autofocus points ought to be headed. Assuming you have the correct "scenario" selected from the five available within the 1D X II's menu system - which comes with a full 65-page document to help explain their nuances and usage scenarios. This is detailed, drill-down deep stuff. Second, all 61-points are sensitive to f/8 - which will be handy if you're using a 2x converter and are forced to use a smaller aperture (21 of these AF points are cross-type to said sensitivity). You can choose to utilise all points or cross-type only in selection, with 1-point, 5-point group, 9-point group, centre/left/right areas and full 61-point arrays being available using the dedicated focus type button and M-fn button (we swapped the latter for the front thumbwheel as it's more familiar). Rewinding back to our experience in Copenhagen's Cisternerne and it's clear just how advanced this autofocus system is in single rather than continuous AF too. When it comes to dark venues this is a prime example: even ISO 25,600 at f/2.8 was pulling up shutter speeds not much better than 1/15th sec. Yep, it's dark in there. So dark, in fact, that the camera could "see" more than we could by eye; so a snap to judge composition was typically best to work from and then readjust accordingly. It's quite astonishing - and as much as a tripod would be the logical solution for shooting in such a scenario, that wasn't available at the time. Still, the handheld shots are passable despite such demanding settings. Anyway, back to the autofocus. With continuous autofocus setup to the 9-point group, often towards the bottom or outer edge of the frame to allow space for fast-moving subjects, we've found fast-moving cars to be snapped into focus from the very first frame and the tracking capable of maintaining focus on every frame thereafter in a continuous burst. It's very impressive. A slightly wider spread of AF points, even less sensitive ones, would be welcome though - that's something Canon hasn't really pushed forward. Which brings us on to just how fast the 1D X II is. A 14fps continuous burst mode makes it the world's fastest full-frame DSLR at this moment in time, pipping the Nikon D5 to the top spot (which offers 14fps with mirror lock only; Canon goes to 16fps in this mode - while Quiet Mode is a little quieter than the original 1D X and now capable to 5fps). So Nikon has the autofocus point numbers, Canon is for those eking out an extra frame in a burst for that elusive moment. As we've pointed out above it really doesn't miss a beat either. Shooting a stuntman leap over barrels - aided by a controlled explosion and a trampoline, but of course - was focus perfect each and every time, even without pre-focusing. And he was no slow-moving lad. Going one faster and we've shot a dragster speeding out of a garage and various car-chase scenarios, all of which the camera has responded to very well indeed. It goes on and on in burst mode too, with machine gun-like vigour. The 1D X II can shoot 170 consecutive raw & JPEG files at full 20.2-megapixel resolution (with the right CFAST card on board) so there's little chance of missing that special moment. That's about a 12-second burst, non-stop, with no let-up and it clears to the card in double-quick time. We doubt any pro will need more than that - we've been shooting 5-second 72-frame bursts that have cleared to the CFAST card in roughly 1-second, so there's no hanging about. The 1D X Mark II's autofocus systems comes in two distinct flavours too, because the new 20.2-megapixel sensor at the heart of the camera is the first Dual Pixel CMOS AF sensor to appear in a full-frame model. That means it has phase-detection photodiodes that can be used to focus when in live preview only (not via the viewfinder). And, as live view systems go, it's as quick as they come in the DSLR world. Unusually the rear screen is touch-enabled, but only for live view - handy to avoid accidental knocks for standard shooting, but equally handy for tapping to focus on a subject whether shooting stills or video content. We think it's about time such a feature made its way into a pro camera, particularly a camera proficient in video capture, despite the lack of a vari-angle bracket for easier waist-level work. However, we would like to see more detail with focus point size adjustment in live view mode though, because as good as the face detection and tracking is, it's not infallible - but can be over-ridden by half-pressing the shutter button to maintain focus on the given tracking area. Then there's video capture, an area the 1D X II elevates, hence it standing-in as the 1D C replacement too. It's possible to shoot 4K at 60fps (in 17:9 DCI cinema standard) for up to 29-minutes 59-seconds at 800Mbit/sec without limit to file size (compression is 8-bit 4:2:2 rather than 10-bit colour though; and there's no clean HDMI out offered - which videographers may see as a major downfall or a £5,200 camera). If that sounds like a recipe for overheating then a "heat pipe" has been designed to dissipate heat around the camera to stop the sensor getting too hot. Just don't expect the CFAST card to remain cool. Video is one not to be overlooked for stills capture too, something competitors such as Panasonic are promoting heavily of late. Because the shutter speed can be set within manual video mode you're able to shoot at faster speeds per frame to avoid subject blur that can be an issue. So if 14fps isn't quite enough for you then, light permitting, 8-megapixel image extractions from video are possible at a rate of 60 per second, should you want. We've not just been dashing around shooting stuntmen, cars and, um, sheep though. We've been shooting people on fire in the studio too. Obviously. Which brings us to the 1D X II's still image quality, in the field, in the studio and in-between. There is some interesting detail about that new 20.2-megapixel sensor, however, which has on-sensor analogue-to-digital conversion for a shorter circuit path, which in turn, Canon claims, means less heat and lower image noise - but specifically at the lower ISO sensitivities. Overall the 1D X is all about balance. It doesn't over-do the megapixel count, offering just 2-megapixels more resolution than the original 1D X from 2012. It maintains a low-pass filter unlike many higher-resolution cameras these days (that are ditching that for slightly sharper results and increased risk of moire). It's the camera for sports photographers, studio photographers, pros on the go. And the image quality is impressive indeed. Are you going to see a mind-boggling massive leap at the lower ISO settings? You'll have to dig deep. But even so, don't focus on trying to see something and just look at the images themselves. They're natural looking, well exposed - thanks to a new light meter that has three times more resolution than the original 1D X's one - for more balanced colour than before. We'd say 98 per cent of the time it's been bang on too, save for a couple of overly blue-cast shots in evening light. It can even do clever things like gauge light flicker to negate firing the shutter at an incompatible moment when shooting under such lighting conditions. Many will ask whether the 1D X II offers image quality that can outshine the rest of the Canon range. That answer is kind of political we suppose: it's all about the 14fps burst shooting and autofocus system really; the images you can capture using that are beyond any other Canon product. In terms of quality there are results so similar from other EOS models, or even "better" at higher resolutions available - it's all about choice. As we see it we've been using the camera entirely contently at ISO 1600 with no fear of details lacking or image noise peering into the image. Critical dark background shots maintain richness even at such sensitivity, as seen by our "flaming gymnast" model. Shoot outdoors and similar ISO sensitivities - used in order to bump up the shutter speed - maintain bags of clarity. Just look at the dragster (ISO 400), explosion (ISO 800), or even car chase/crash scene (ISO 2000) in our gallery to see what we're talking about. Push to the higher ISO sensitivities - such as a line-up of beers (ISO 5000) - and there's a whisper of colour noise in mid-shadows. Keep pushing things - such as the ultra low-light underground Cisternerne shot (ISO 25,600) - and the detail diminishes, but even at these 5-figure settings you can get something usable at small scale. Needs must. Canon has actually been more conservative with maximum sensitivity compared to Nikon too, maxing out at 51,200 (extendable to 409,600, not the 3,280,000 extended capacity of the Nikon D5). We've used the 1D X II with an EF 100-400mm f/4.5-5.6L IS, EF 200-400mm f/4L, EF 24-70mm f/2.8L II and EF 11-24mm f/4L to get a full sense of how it acts with a variety of glass strapped to the front. If you want sharp then there's plenty of glass to choose from, including the L-series optics Canon is renowned for. It's no change here: the glass continues to do its thing. There's probably a thousand things we've not quite touched upon with this Canon EOS 1D X Mark II review - such as the rather capable Wi-Fi and remote control, or the GPS log tracking (both out-the-box in-camera features) - but that's just how detailed a top-tier product is. Focus on the core of what matters most, though - autofocus, continuous burst, buffer capacity, image quality, battery life (we shot 1100 frames over two days and still had two of the five bars of power showing up) - and this is one almost untouchable pro camera. Its only threat, and lesser so on the speed front, is the Nikon D5 (not that many established users with a bunch of optics are likely to up and switch just like that). As an upgrade from original 1D X to Mark II you're getting small bumps in AF system performance and resolution, plus some video smarts and touchscreen live view - but it's not a giant leap. But when cameras are this capable where else is there to go? One feature we'd liked to have seen is a vari-angle LCD screen, like that of the Pentax K-1. And a wider array of focus points wouldn't go amiss for some creative framing too. Oh, and the lack of clean HDMI out for 4K video capture will rile some videographers not wanting to fork out for a C300. But we're scratching around to try and find fault. When it comes to creative professional tools the 1D X Mark II is not just a worthy successor to the original, it's an astounding high-speed DSLR in its own right. The original was genre defining and this, the sequel, is one of those rare but lauded better-than-the-original moments.